What if you could pick from a library of published Machine Learning Models, each one made by experts in their field, and build it into your business solution? 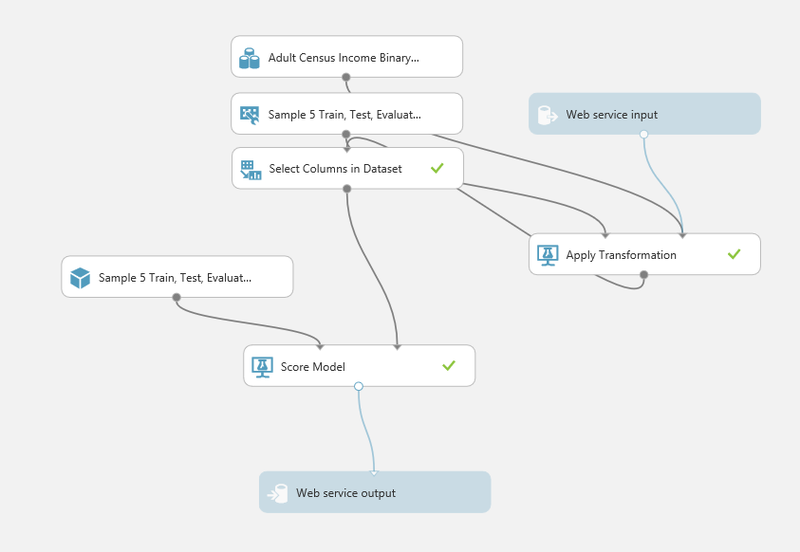 Creating and publishing your own machine learning model and calling it from Dynamics NAV. In this post we will look at the sample model “Income Predictor” and how to make it available for Dynamics NAV. The purpose is to get some hands-on in Azure ML Studio, and to then see how to link it to Dynamics NAV. The income predictor model is an example from the book “Free ebook: Microsoft Azure Essentials: Azure Machine Learning“. The model is a walkthrough that builds a learning experiment from scratch which takes input about a person such as their age, gender, education and more, and based on that it predicts whether the person will be earning more than 50.000 per year or not. Use it for credit checks, scoring of customers, salary evaluation of your employees, etc. 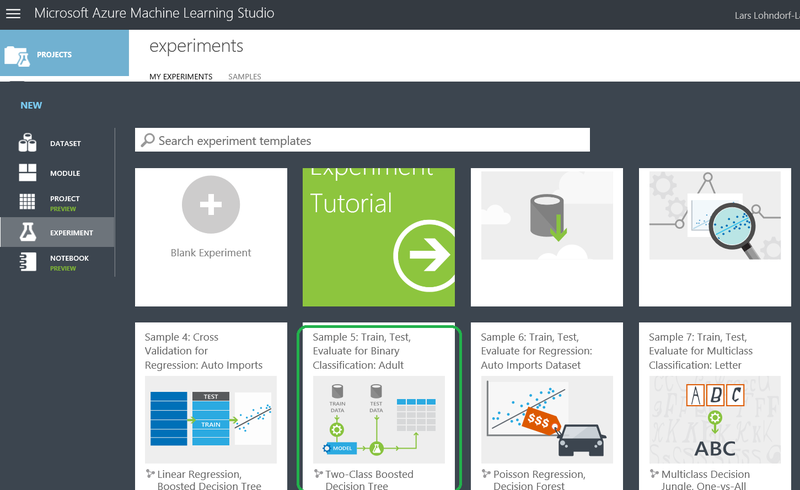 The example, starting in chapter 3, covers how to get started with the Azure ML Studio, how to create an ML experiment, how to train it based on a sample dataset and how to evaluate the predictions compared to random guessing. It also includes some of the data manipulation and cleanup that may be needed to get good data. The example is completely without code or script. Just drag and drop modules and set properties. 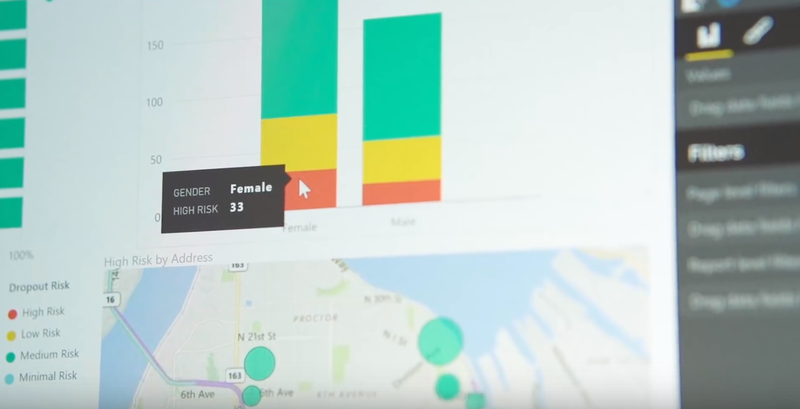 It includes selecting a type of model (Two-class boosted decision tree) and applying it to some of your sample data, using the rest of your sample data to verify the result. 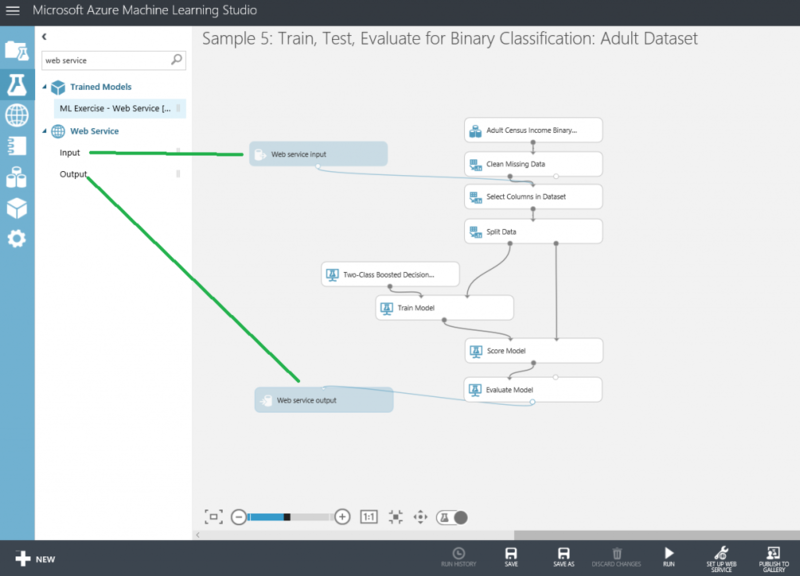 After the model is trained, it gets published as a web service, and Azure ML Studio will even create an Excel sheet that can call your published model to test it. Once you can call the model from Excel, of course we want to call it from Dynamics NAV. SAVE, then RUN the model. After running the experiment, click on the first module “Apply Transformation”, then click on the Output (1), and select Visualize. notice that this has 15 columns, which is important, as the input we send via the web service must match this. Visualize the last module “Score Model”, and see that this one has 14 columns. The columns that we are interested in are the last two: “Scored Label” and “Scored Probability”. This is the outcome that we are interested in. Save and run it again, then click “DEPLOY WEB SERVICE”. Copy the API key that you get, click “REQUEST/RESPONSE” and copy the POST URI. This is the two bits of information you need to access your new income predictor web service. Scroll down below the URI to see a sample request with the 15 input-columns. Copy this, as this shows the columns that your request must match. Sample C/AL code is provided below. Implement this in Dynamics NAV 2017 or Dynamics NAV 2018, and then update the Key and the URI in the Initialize function at the top. then run it. Hopefully it will work, and give you prediction and probability on the input you send. And you now have integration from Dynamics NAV to a trained model in Azure. Make a predictor service available from the Employee Card to say whether an employee should be making more or less than 50.000. Edit the module “Select columns in dataset” to remove the columns that you dont want. Find another model, add web service in/Output and connect that to Dynamics NAV.